What to do on St. Patrick’s Day… Play Evolve? 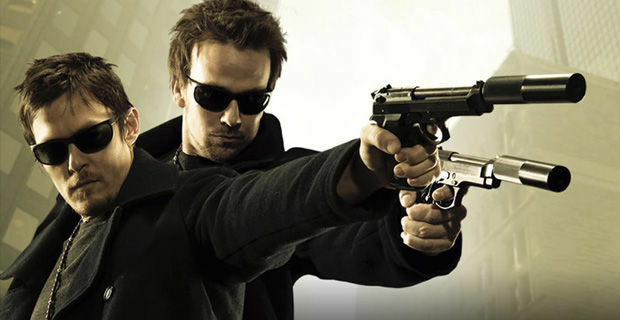 So today, I’m going to be celebrating my Irish heritage by having a drink or two, listening to some Irish music, maybe watching Boondock Saints and hopefully playing a game for a few hours. I’m thinking of playing Destiny, because that’s been my go-to game lately, but that doesn’t feel “Irishy” enough. Maybe I’ll play Saint’s Row 4 and make my avatar change into green clothes? I do have a lot of Irish Pride, but there will be no beer drinking tonight (because I hate beer), and I totally forgot to wear green today, so I’m going to have to make up for all of that tonight by having a shot of Irish Whiskey and listening to Black 47 extra loud. Maybe some of you can celebrate St. Patrick’s day better than me and make up for some of my failings. Drink a Guinness! Wear green! Start a bar room brawl! Play Evolve! Wait… what? This is actually kind of cool but I can’t participate because I don’t have Evolve yet, but I hear there’s a special challenge for St. Patrick’s day called: “Evolve St. Patrick’s Trapper Challenge.” If everyone playing Evolve today wins a total of 35,000 games online while playing with Griffin the Trapper on their team, then they’ll receive the Trapper Predator Skins pack for free! What’s really cool is you’ll get the Predator Skins pack even if you weren’t the one playing as Griffin in the game. If the Evolve community completes the challenge, the DLC will be delivered by March 31! 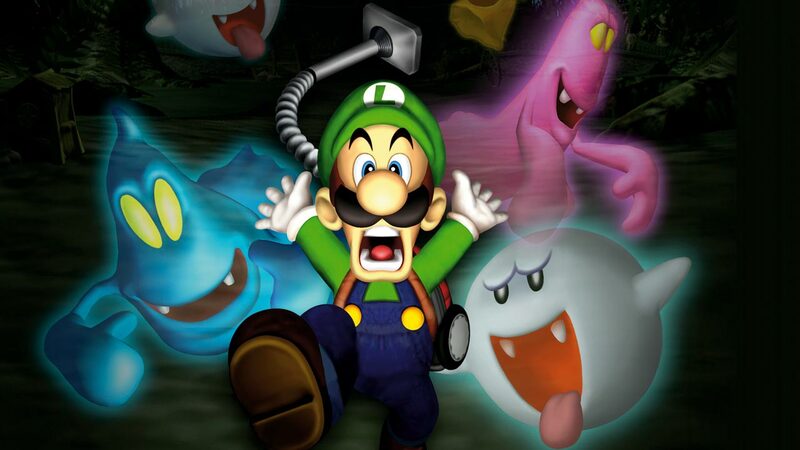 When I realized Luigi’s Mansion isn’t on the Nintendo e-shop I was even more disappointed! Then I started thinking about other fun, nostalgic Nintendo games and remembered that a Mario Party was coming out soon! I googled it and NEXT WEEK Mario Party 10 is slated to come out! How great is that? The first Mario Party I ever played was for the Wii console. My stepkids and I played that game non-stop. It was the game we played most frequently on that system and it was always felt like quality family time. That’s one thing Nintendo owns–they create some great family moments that the other systems can’t compete with. Xbox and Playstation aren’t as good at local competitive or co-op games. You usually have to go online to play against someone. So before I go much further, why don’t you check out the trailer for Nintendo’s Mario Party 10! How cool is it that you can play as Bowser too? I’m kind of excited about the amiibo integration as well! I think the Wii U gamepad is a fantastic controller–more than just a gimmick. I suspect the Bowser gameplay mode is going to add some freshness to this series and so will the amiibo functionality. They say Mario Party might be the best game for amiibo support so far! I’m going to pick this up on the 20th. Maybe I’ll take some video footage of the epic battles that take place during the Mario Party game-a-thons! Wait, is that Dante Wearing a Scale Suit in Scalebound? So we all love Platinum Games, right? Right. Full disclosure: I have Bayonetta, Wonderful 101, Vanquish and just bought Metal Gear Rising. So I’m a die-hard Platinum fan and biased. Those are a lot of quality games to come from one publisher. 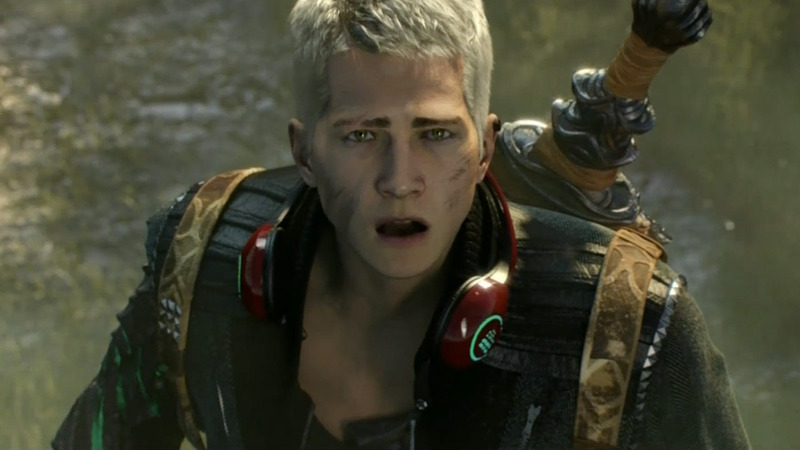 Scalebound is supposed to be their masterpiece–like no other game they’ve created before. It’s not just me that’s excited though. Some are even calling Scalebound “The Game of All Time.” That is a mighty dangerous statement to make in the gaming world. But, I have to admit, I have a good feeling about it too. That may be a bit hyperbolic, but better things have been said about games that seemed less promising. Destiny was hyped up and I never totally got that. My gut turned out to be right on that since I’m not in love with Destiny–it’s a decent game, but not my favorite. Scalebound is unique for Platinum games because of the photo-realistic animation style and because Platinum is working with a western publisher (Microsoft). Check out how gorgeous this game is. Look at the trailer! You’ll soon be a believer like me! 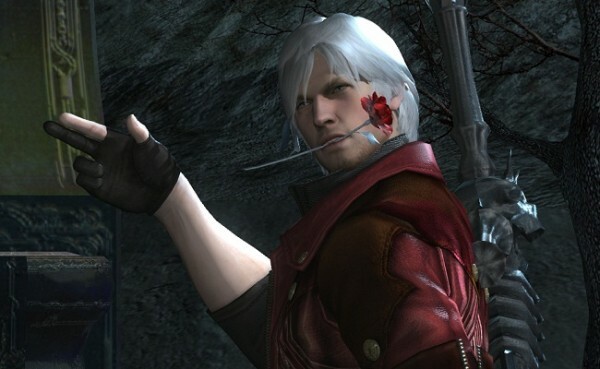 But hey, did anyone notice the snarky, arrogant, “Dante from Devil May Cry”-like attitude of the protagonist of the game. Something about the character is very Dante-like and for me, that’s a good thing. 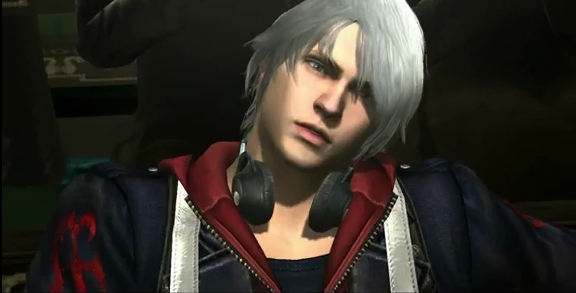 Or maybe I’m thinking of Nero from DMC 4? It’s totally about the headphones! I love Dante and Nero–all DMC is good DMC. It seems like Platinum is trying to catch some of the DMC-magic and transplant it into a dragon-filled fantasy world! Oh, and there are hydras too! Bonus! Supposedly, you get to bond with a dragon and that helps you stay alive in the game. So you aren’t just fighting dragons, you have a symbiotic relationship with one of them! I’m ready for this game; bring on the dragons and Dante (or Nero)-like protagonist! I’m in! 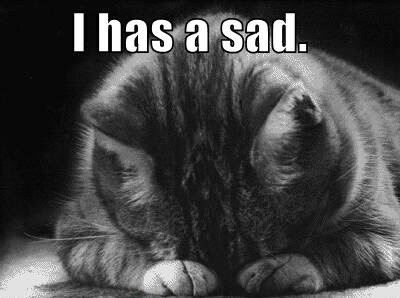 First The Last Guardian scare happened in February; we thought they stopped working on the game altogether, then The Order: 1886 received bad reviews for being too short, now Uncharted 4 is delayed… I swear, if something happens to Bloodborne, I’m going to lose it! What is going on with Sony exclusives lately? Also, I should note that I tried out The Order and I like it so far. I think some of those reviews were pretty harsh. Naughty Dog just announced that Uncharted 4 has been delayed until Spring 2016. That is a tough blow for me, and for a lot of PlayStation 4 owners. The Uncharted series is the most popular franchise Sony has right now and undoubtedly one of the all-time favorites for PlayStation exclusives. Some even say that the style of the Uncharted series was the inspiration for the Tomb Raider reboot. The games felt very similar and I’m sure that’s part of the reason I had so much fun with the new vision for the TR franchise. Tomb Raider kept my hunger sated for that sort of gameplay/story while I waited for the new Uncharted. Now I feel like I just had a snack and no one’s serving dinner… until next Spring! Okay, I know I’m being a bit melodramatic; Uncharted 4: A Thief’s End was originally planned for a mid-December release and it has only been delayed to Spring 2016. According to a post on the PlayStation Blog, the game needs more time before it is ready. You can’t rush perfection, guys. But, don’t we all get a little scared when a game gets delayed? —Bruce Straley and Neil Druckmann, directors of the game. I’m a little worried about what this means for Sony. What game do they have to spike sales before Christmas now? I worry about these things. I sit around worrying about the fate of game developers and the console makers. It’s sad but I really did stress out a bit (I know this isn’t normal) about the fate of Nintendo after the Wii U bombed. I hate seeing good companies struggle like this! But, this could be good news for all of you Xbox fans who feel like Microsoft is losing the “console war.” If all goes well, Halo 5 will be out before Christmas and this might help them catch up to Sony in console sales. I don’t totally know why this is news. I’ll start out by saying that of the three major consoles, Sony tends to be my favorite, so any criticism of them comes from a place of love. Apparently, PlayStation Mobile is going to be shut down and almost no one will care. I know I’m biased here because I don’t play as many mobile games. If you aren’t familiar with PlayStation Mobile, you’re not alone! I suppose that’s obvious though because if it were actually a popular service, we wouldn’t be having this talk right now, would we? 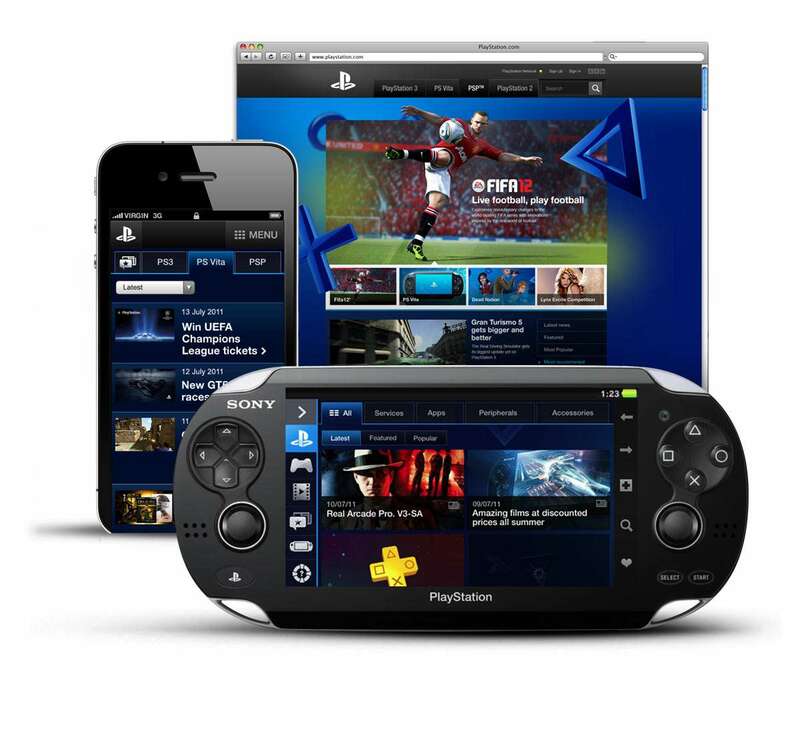 The service was created to offer games to the PlayStation Vita and for Android phones. I have a Vita and I never even thought to access PS Mobile. I guess there are just so many other options for gaming, it didn’t seem like something I needed to look into. According to PlayStation support forums, you will still be able to access any purchased content through September 10, 2015. After that, the whole this is going to be shut down! You can still get your purchased items after that, but you have to go through an activation process. Don’t fret though, all three of you out there that actually used this service, I’m sure Sony has a few more tricks up their sleeve. We have PlayStation Now until then. I know it’s not the same thing, but it’s pretty neat if you need games for your Vita in the interim. I never got why someone would want PlayStation games on their phones, so I’m not even addressing you folks that actually used that. Get a PlayStation 3, 4 or Vita if you need to game! Let me know what you think! Am I being too harsh on PlayStation mobile? Did you guys actually use it? I Love This New Headset! Who honestly thinks the earbuds that come with Apple products are comfortable? I almost never like the headphones that come with any device. They are always those round, hard plastic ear buds that keep falling out because they don’t fit the shape of your ear. Why are people still making these? So back in the days when I was super excited about getting Destiny and playing it online with people, I bought a reasonably priced Turtle Beach headset. It was maybe around $30 and looked like it would work properly. 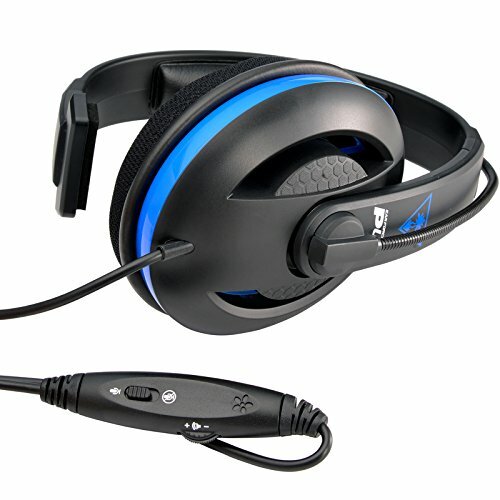 I enjoyed all of the Turtle Beach headsets we purchased over the years for Xbox, so why would the PS4 one be any different? The devil himself made this headset. It was different. It is ill fitting, it only has sound on one ear, it constantly breaks up so people can’t hear me and vice versa. It is the worst headset I’ve ever used. Also, the sound does not go up high enough so if you have the noise from the game set too loud, you don’t hear anything your teammate is saying. Finally, I get around to buying another new headset. This time I listened to a gaming buddy, @Yemanator, and I purchased a first party peripheral. It was a great deal at under $30 on Amazon! Of course, because I refuse to follow the directions to anything ever, I couldn’t get it to work at first. For those of you that are averse to reading directions like me, you have to snap the microphone into place or else it’s on mute. It took me 4 days to figure that out! 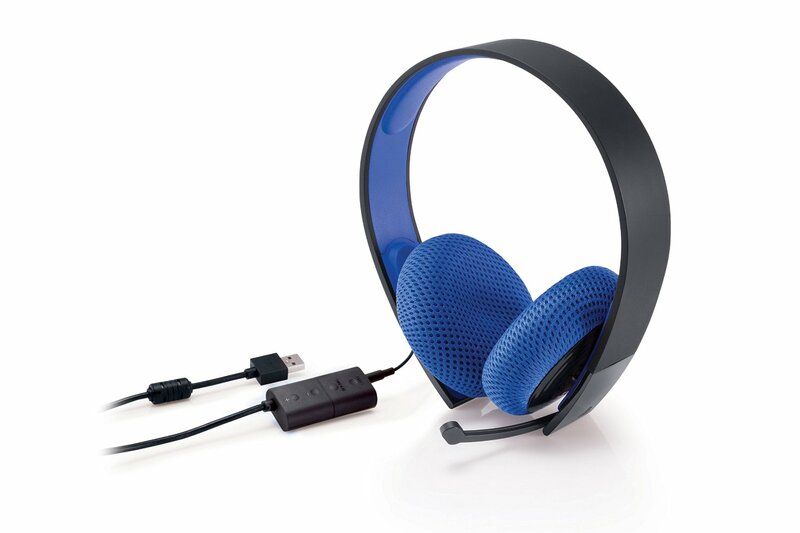 This headset sounds better, it’s more comfortable, it breaks up less on both ends of the conversation, the sound can be increased in case you’re in a noisy room or if the person on the other end is too quiet. It’s a pretty good headset for the price! Download custom modes created exclusively for PlayStation by developers that are specifically tuned to enhance the audio in your favorite games. 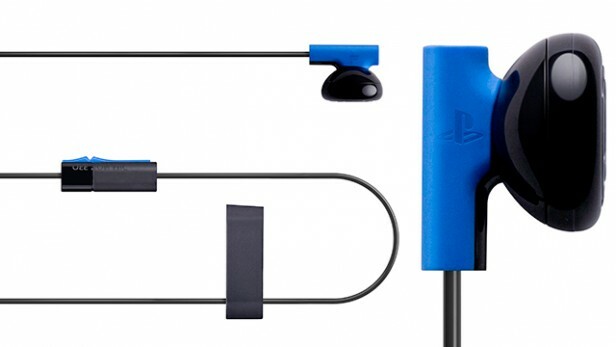 It is wired, so you have a messy cord connecting to your PS4. It does break up a bit if you move around too much while gaming. I signed up for Twitter back in 2009 but I didn’t do much with it until late last Spring. I was angry with a political post one of my friends wrote on Facebook and I knew I couldn’t respond without ruining the friendship, so I went to Twitter and experienced the catharsis one can only feel when they just go on a full blown RANT. I started out mainly talking about politics, but as time went on, I started tweeting about other subjects near and dear to my heart and I realized Twitter is absolutely the best place to find people that like the same things as you. This sounds like such a facile observation, but it’s important because in my non-online life (“the real life,” as I like to call it), there aren’t a ton of people that are into my specific interests: gaming, politics (specifically politics from my side of the political spectrum), geek movies, my style of music… You get the picture. So realizing this and finding like-minded people on Twitter was sort of an epiphany to me. Facebook is for connecting with old friends. Twitter is for meeting people that like what you like and this is important because it has become significantly harder over the last few years to meet people with similar interests to your own. What is Social Capital? In its most basic sense, it’s human interaction through social networks. No, not just the modern day meaning of social networks, but also how you interact with people or groups of people in “the real life.” It’s a concept that was developed by Robert Putnam in his book Bowling Alone where he asserted that the US has undergone an unprecedented collapse in civic, social, associational, and political life since the 1960s, with serious negative consequences. If you’ve ever seen WALL-E, then you have an idea of what social capital decline would look like in the extreme. Everyone in WALL-E’s universe ride around in little chairs with screens in front of their faces: they’re distracted and not interacting with one another. Will this be us in a few years? Through social media, the quantity of interpersonal interactions has increased, but many think the quality has gone down. And here’s where I loop back to the title of the article: We don’t go to brick and mortar stores anymore. We aren’t as likely to visit a comic book store as we are to buy something online. We don’t go out to movies as much as we like to rent something on Redbox or binge-watch Netflix–what’s the point of a home theater if not to be comfortable and save money on movies? We’re more likely to go through a drive-thru to get coffee than to sit in the shop for hours with a paper talking to a friend or stranger and if we do go in, we put our headphones on and we’re glued to a computer screen, phone or tablet (free Wi-Fi!). Finally, video game arcades are basically dead except for in movie lobbies and some theme restaurants. So where do geeks go to congregate with other geeks? Where do we meet each other? 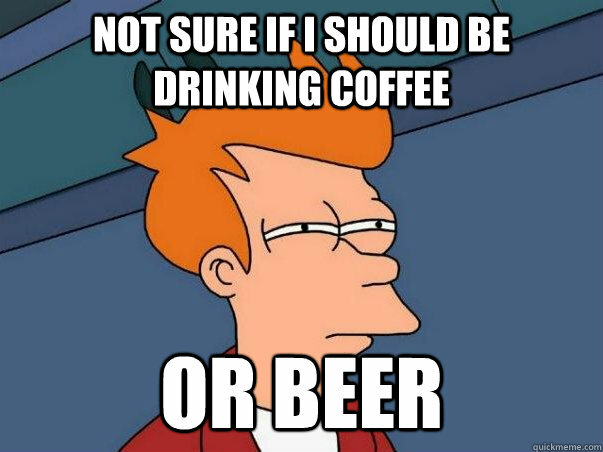 Did you know that before coffee was brought to Europe from the Middle East that everyone just drank beer and wine and spent the whole day semi-drunk? For centuries, water in Europe was often too unsanitary to drink, so a common alternative was alcohol–a lot of it. It was not uncommon for someone to have a few light beers in the morning, beer for lunch and perhaps mixing it up with some wine or gin in the evening. Essentially, all of Europe was in a drunken haze, morning to night. When people started drinking coffee instead of alcohol all day, they were stimulated instead of drunk which spawned an intellectual movement! Intellectuals would go to coffeehouses to get their fix and politicians, artists, writers, and thinkers would then gather and exchange ideas. Think of all of the important developments that spawned from those interactions. We don’t really have that anymore–or not as much. This is true for hobbies as well. As I mentioned, we don’t have arcades or as many physical stores where people can gather, meet and exchange ideas. I was just a few years shy of the Video Game Arcade golden age. There is no consensus about the Arcade Golden Age, but most say it was from the late 1970s and early 1980s, and lasted to the mid-1980s. I visited arcades from time to time, but it was with too few quarters and adult supervision. By the time I really got into gaming, the first few consoles had sort of supplanted arcades as the main method of gaming. Simpsons Arcade and TMNT Arcade were my two favorites. I’d kill to have one of these cabinets. 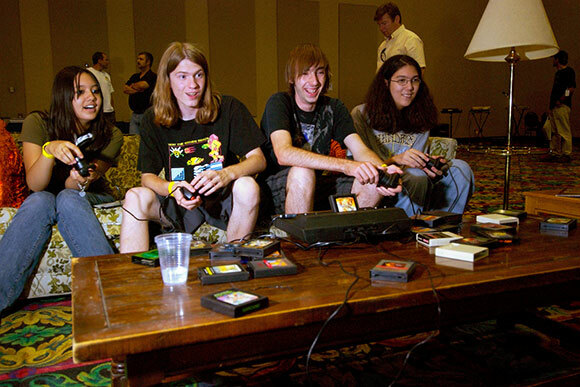 While I appreciate the convenience and cost-effectiveness of console gaming, I do miss the real-life interaction arcades provided for gamers to meet other gamers. 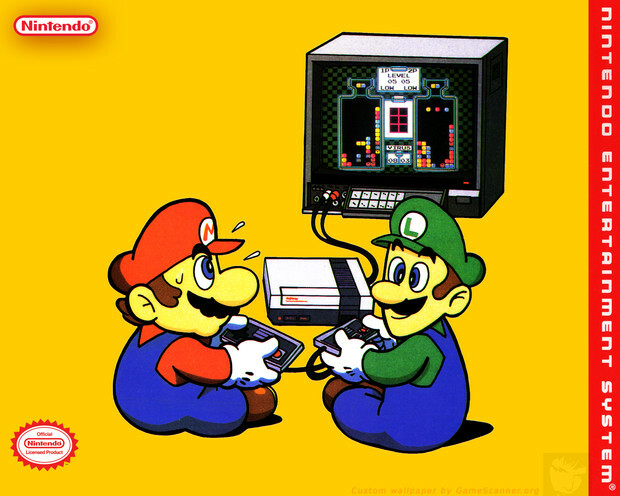 At least back in the 80’s and 90’s even console gaming allowed for couch co-op play. We all remember playing Contra with our best friend or group of buddies. Couch co-op is all but dead in current gen systems except for, perhaps, the Nintendo Wii U. Technology has slowly killed off a lot of social interactions we used to have and it seems like it has fractured our culture to the point where it’s really difficult to find people with similar interests. Don’t get me wrong; I’m not a Luddite. I LOVE technology: I’m a technophile, but without the means to purchase all the gadgets I’d like to tinker with. But, that being said, we used to all be at least conversant on politics, television, movies, music and books but now there are so many options for entertainment and media, it’s impossible to be caught up on everything. Furthermore, many people have extremely specific avocations: it used to be that if you liked video games, you probably like Mario Brothers. Now, there is so much diversity in games (and that is a GOOD thing) that you can speak with another gamer and neither of you will have played any of the same games. It is harder to find people that like your particular brand of geekery (I love saying this phrase, I know. I just can’t think of a better way to say it). So How Do We Meet and Connect With Other Geeks? 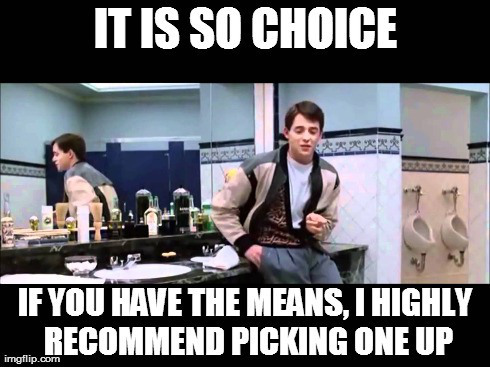 Twitter, 8Chan, Reddit threads, Tumblr (no thanks)… My choice is Twitter but I think most of these options are great ways to connect with those who have similar interests. I’ve also had a lot of fun scanning YouTube channels of other gamers. Obviously, watching others play games online has gained a lot of traction with Twitch and personalities like PewDiePie who create Let’s Play videos for YouTube. I still think it’s important to meet people in the real life to connect with about various hobbies and interests, but until that becomes easier somehow, I’ve been happy tweeting and messaging all of the awesome gamers that I’ve met on Twitter. I’ve finally found a place where someone knows what I’m talking about when I say “Makers Breath!” or “War… War never changes.” It’s the next best thing to finding Doc Brown and getting him to make me a DeLorean time machine to take me back to the 80’s. What do you guys think? Are there still places for geeks to congregate “on the reg” besides Comic-Con and similar conferences? What do you do to meet and connect with geek friends?